“The best of both worlds!” The “Race” was born by breading all the speed elements of the Sprint and some of the user-friendliness and sea keeping ability of the All Star. The Race has an efficient chop-penetrating-nose with its slender and round shape. It is a bit less stable than All Stars of similar sizes. The low front rocker maximizes the waterline and makes the board extremely competitive on flat water while it also catches small bumps quicker than the Allstar. One board quiver that works as well in flat water race and chop. A versatile offering. * 2015 all RACE Carbon Race boards have the orange logos while the Glass Technology is green. 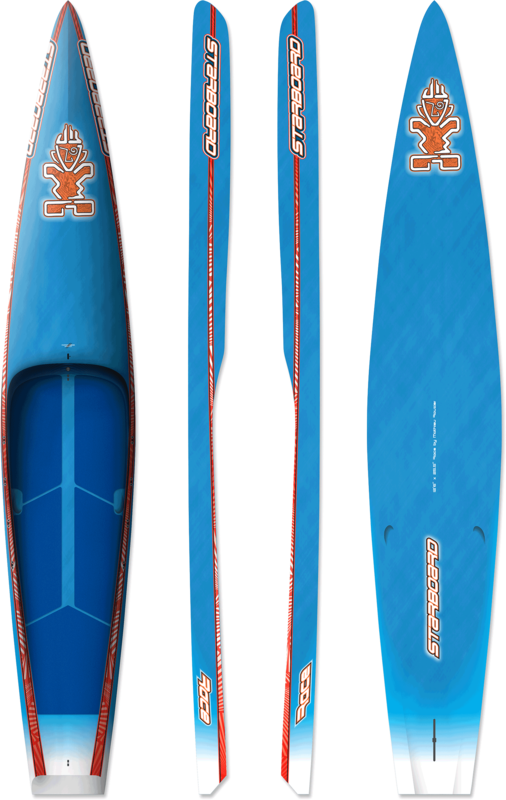 What do you think about the Race 12’6 x 25.5 Carbon?